Don’t let the fact that the teddy bear is named after him. Don’t let the name Theodore fool you either. Theodore Roosevelt is tougher than you and it isn’t even close. This isn’t a slight against you at all. 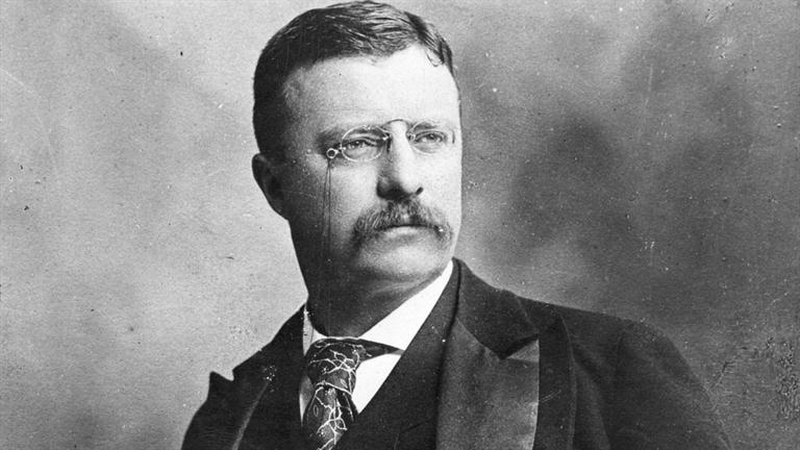 In fact, Teddy Roosevelt is one of the toughest men to ever be elected President. He is the ultimate man’s man and when he said “speak softly and carry a big stick” you can bet he would use that stick to beat your behind if need be. Don’t believe me? Check out these reasons Teddy Roosevelt is tougher than you. Roosevelt never backed away from a fight. However, he was awarded a Nobel Peace Prize after ending a war between Japan and Russia in 1906. He sat the leaders of the two countries down in Portsmouth New Hampshire and hammered out peace. Then, for fun, he mediated a conflict between France and Germany over the division of Morocco. When Teddy spoke people listened. He was the first American President to win a Nobel Peace Prize. For fun Roosevelt would box. He always had a love for the sweet science and was the intramural lightweight champ at Harvard University. When he was President he would box and spar against professional boxers and amateurs alike. However, during one sparring session a young army artillery officer hit Roosevelt and ruptured a blood vessel that almost blinded him in his left eye. He was the first President to fly. In fact, he was one of the first people anywhere to fly. He took to the skies on October 11, 1910 on a plane built by the Wright brothers. When World War I broke out, Teddy, who was 58 at the time, lobbied President Woodrow Wilson to send him to France at the head of a 200,000-man expeditionary force. The United States, however, took the stance of being neutral until three years later. By that time Roosevelt’s health was failing and he would be dead just a year after the war ended. That was Teddy though, he heard the sound of the guns and wanted to wade into the fight. Yep, you read that right. Roosevelt would go on strenuous hikes in the area around Washington, D.C. and to cool off he would shed his clothes and jump in the Potomac River. Today there is no way a President would get away with that kind of stuff. During his sojourns around the nation’s capital, Roosevelt would head out and perform pistol target practice at Rock Creek Park. I guess he was preparing for another night out on the town in North Dakota after he left office. John F. Kennedy was the youngest man ever elected as President of the United States at the age of 43. However, Roosevelt was the youngest President to ever assume office at the age of 42. He became President after William McKinley was shot. The funny thing is, Republican Party leaders stashed Roosevelt as the Vice President to keep him away from the White House and other offices. A year later he was running the country. This is kind of hard to prove since there are no video recordings or Teddy, obviously. However, his biographer and historian Edmund Morris cites several documented cases where Roosevelt recited, from memory, obscure poetry and snippets from books long after, over a decade in some cases, he had read them. It was said he could dictate two letters to two secretaries while reading a book at the same time. Roosevelt is well known for being an outdoorsman. A year after graduating from Harvard, Roosevelt was on his honeymoon in Europe. He took a break from the honeymoon to scale the Matterhorn in the Swiss Alps with two guides. You know, for fun. In his spare time Teddy liked to write. He authored 38 books and numerous other academic articles in his life and composed well over 100,000 letters. The subjects of his books ranged from the naval war in the War of 1812 to Oliver Cromwell to his own autobiography. Mostly they were about hunting and nature. Teddy knew his stuff. His work on the naval history of the War of 1812 is still cited to this day and is considered a go-to source on the subject. Server responsed at: 04/22/2019 12:37 a.m.